Pin the Poop on the Diaper Game is a funny and hilarious verion of the famous pin the tail on the donkey game. I am sure that your baby shower party guests will love this game and it will fill up your baby shower with fun and laughters. 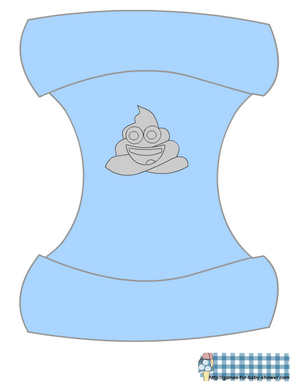 I have made the printable diapers for this game in three different colors, including a gender-nutral white color and made poop printables with 9 printable poop emoji's. You can take printouts of that poop sheet according to the number of your baby shower party guests. You will only need one printout of the diaper. How to Play: Take a printout of a diaper in the color of your choice, on an A4 size paper and paste it on a bigger paper and board. 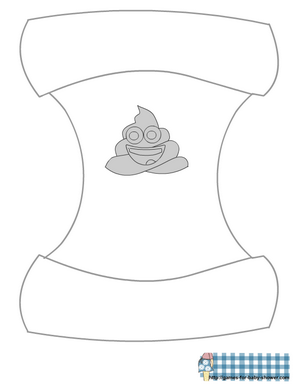 Take printouts of the poop according to the number of the player and paste a double sided or rolled up tape on the back of each piece and write name of the gues on it. On a player’s turn, blindfold the player and then spin the player once or twice. 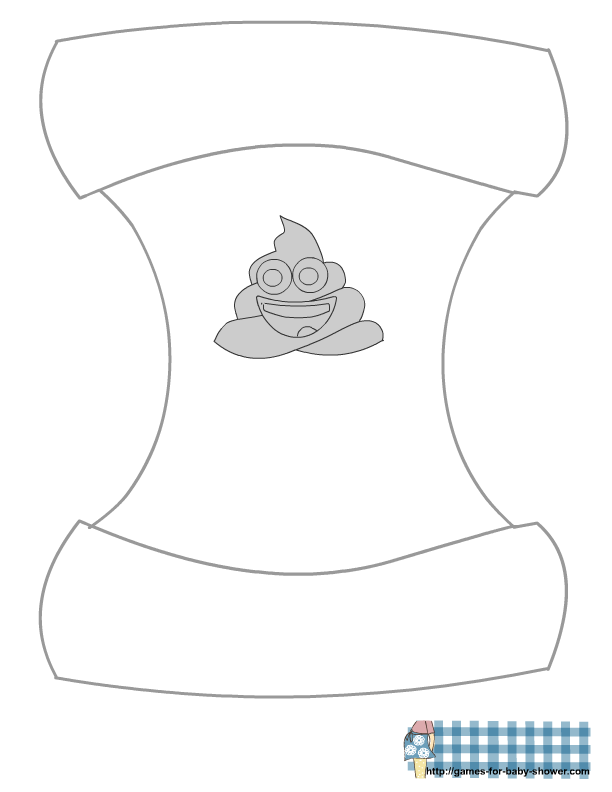 Hand the blindfolded player a piece of poop with their name on it and allow him or her to attempt sticking or pinning it over the grey poop mark made on the diaper. The player who pins the poop closest to the mark will be the winner. This is a free printable diaper image in pink color for a girl baby shower party. Get some good laughs with the guests on your baby shower party by playing this fun game. This is another color for the diaper that is perfect for a boy baby shower party. Just click on this thumbnail image and a bigger image will open up, you can right click and save that image. This is a diaper image with the grey poop mark in a gender-neutral white color. Just click on this thumbnail image and a bigger image will open up, you can right click and save that image. 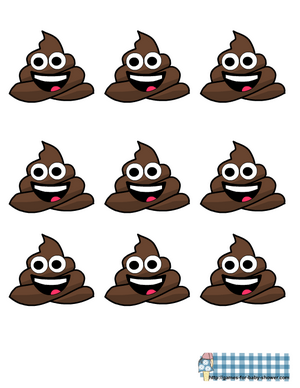 Here are 9 free printable Poop Emoji for Pin the poop on the diaper game. Just click on the thumbnail image and then right click and save or print the bigger image. 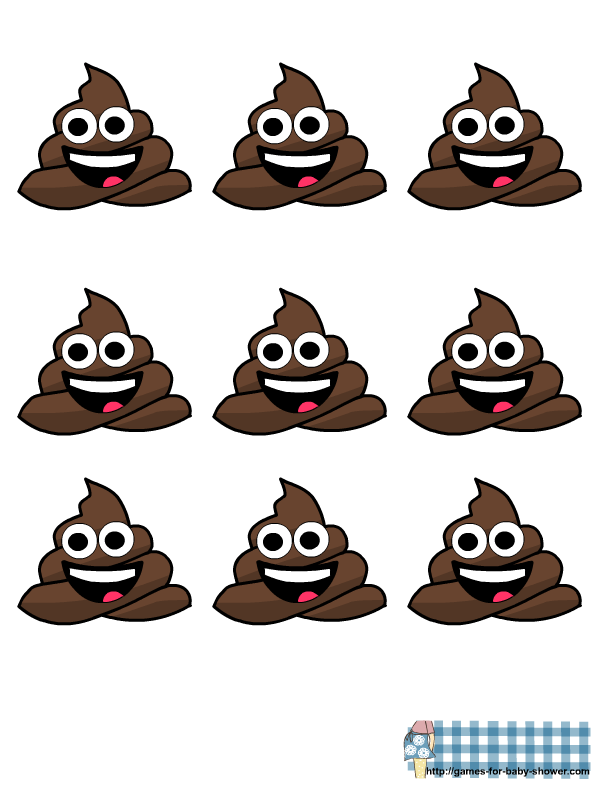 You will need to cut each poop image around the edges neatly. I hope that you will enjoy this game.